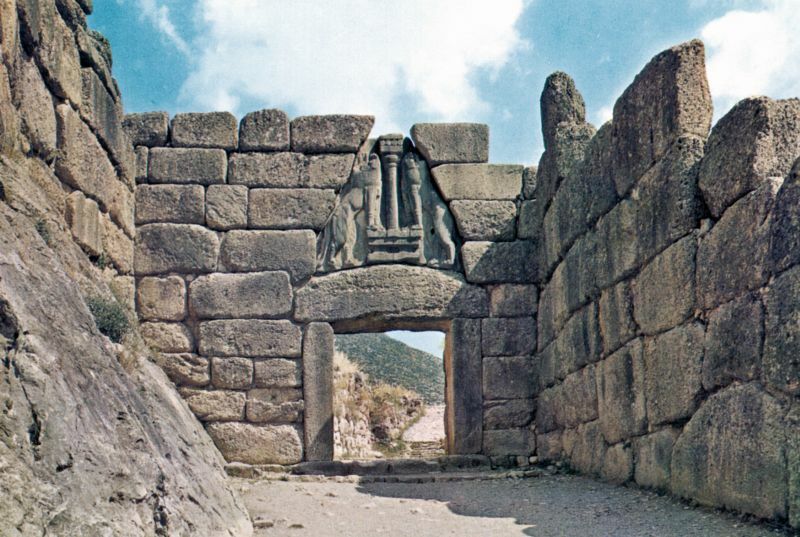 Mycenae (Greek: Μυκῆναι Mykēnai or Μυκήνη Mykēnē) is an archaeological site in Greece, located about 90 kilometres (56 miles) southwest of Athens, in the north-eastern Peloponnese. Although the citadel was built by Greeks, the name Mukanai is thought not to be Greek but rather one of the many pre-Greek place names inherited by the immigrant Greeks. 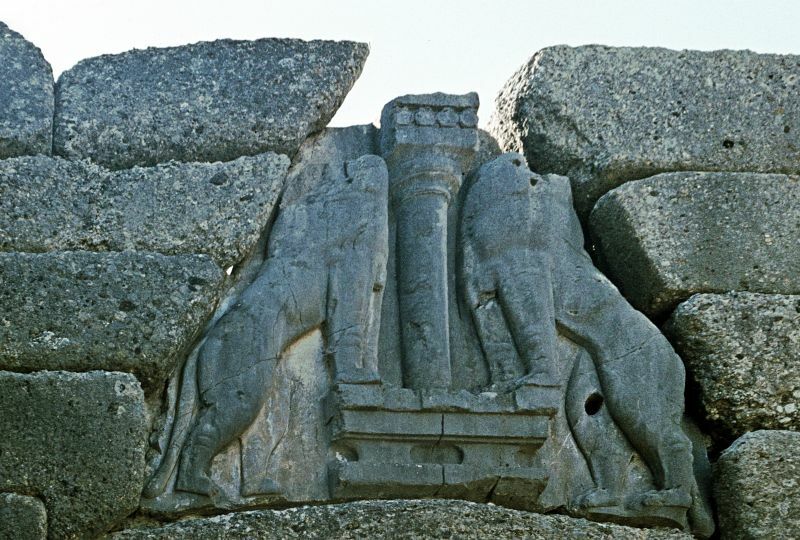 The earliest written form of the name is Mykēnē (Μυκήνη), which is found in Homer. 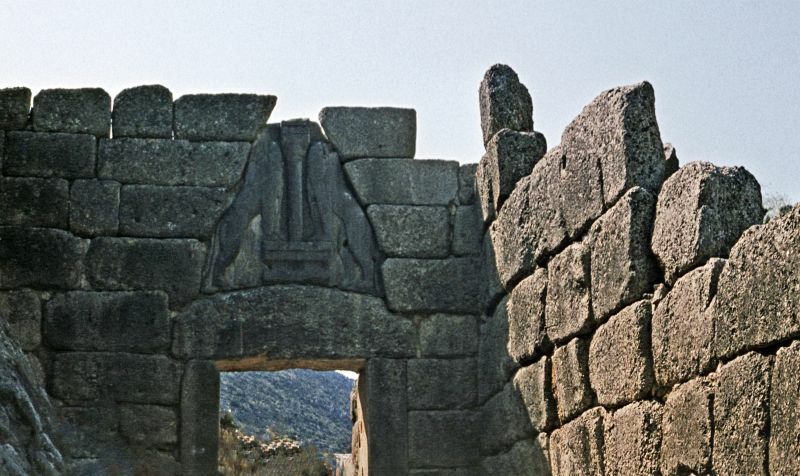 The reconstructed Mycenaean Greek name of the site is Mukānai, which has the form of a plural like Athānai. The change of ā to ē in more recent versions of the name is the result of a well-known sound change in later Attic-Ionic. 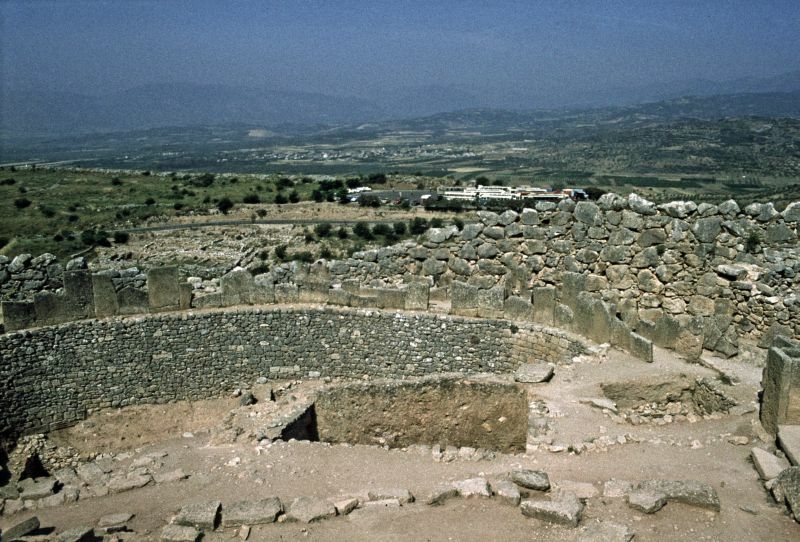 Mycenae, an acropolis site, was continuously inhabited from the Early Neolithic (EN) down through the Early Helladic (EH) and Middle Helladic (MH) periods; EN Rainbow Ware constitutes the earliest ceramic evidence discovered so far. 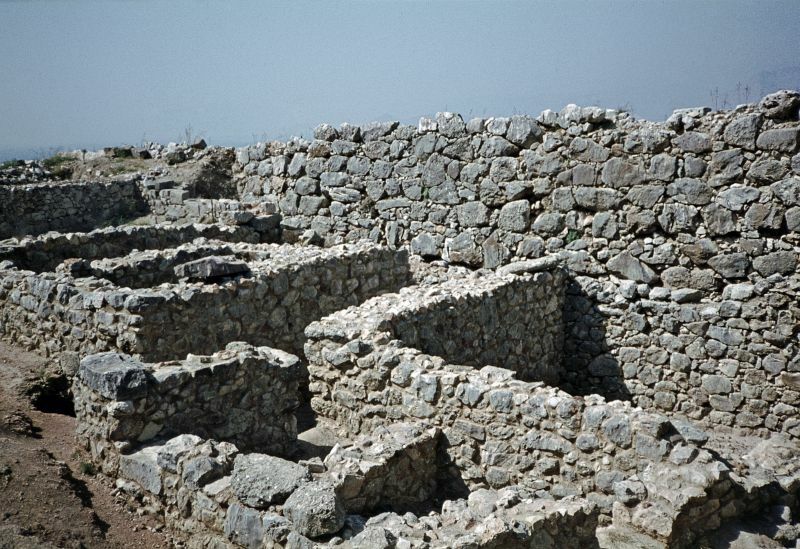 Pottery material spanning the entire EHI through EHIII period was discovered in 1877–1878 by Stamatakis at a low depth in the sixth shaft grave in Grave Circle A; further EH and MH material was found beneath the walls and floors of the palace, on the summit of the acropolis, and outside the Lion Gate in the area of the ancient cemetery. 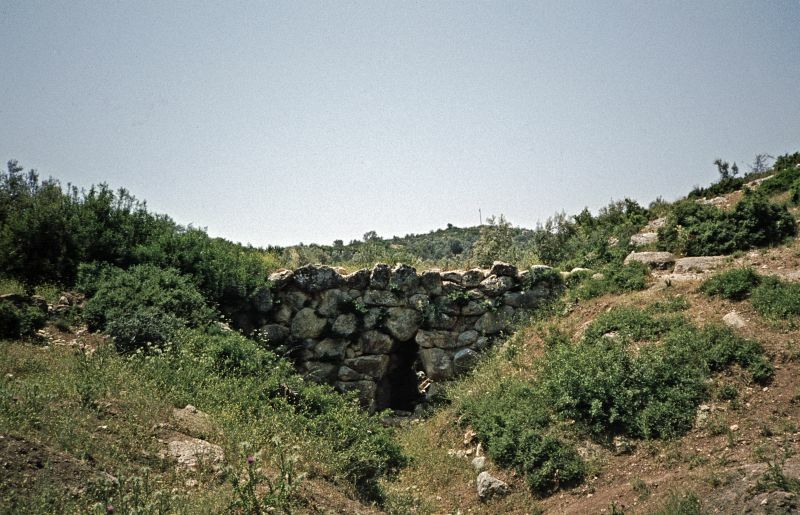 An EH–MH settlement was discovered near a fresh-water well on top of the Kalkani hill southwest of the acropolis. 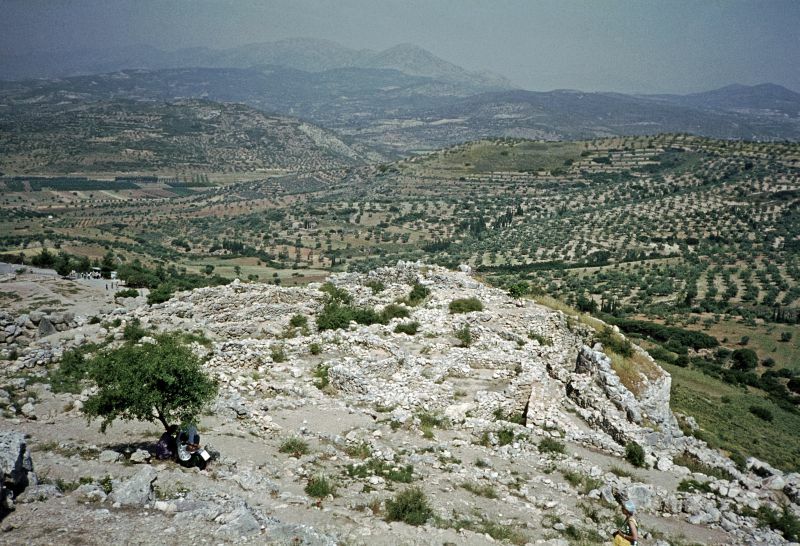 The first burials in pits or cist graves manifest in the MH period (circa 1800–1700 BC) on the west slope of the acropolis, which was at least partially enclosed by the earliest circuit wall. 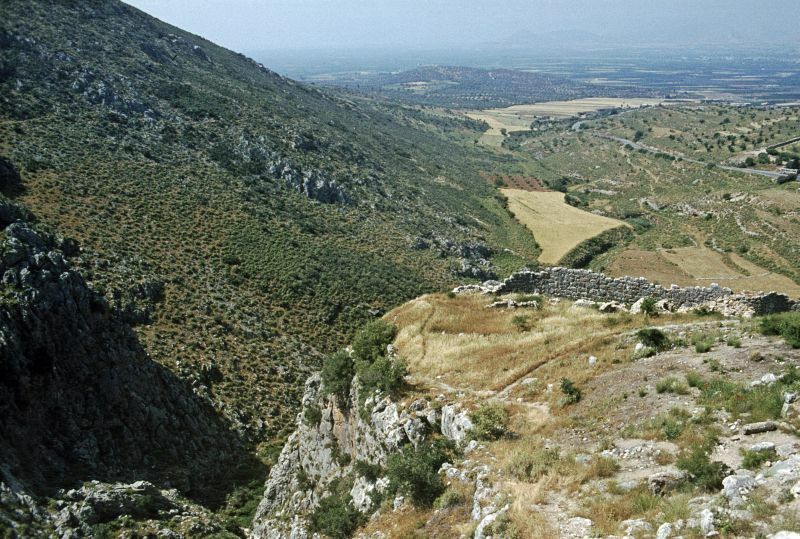 During the Bronze Age, the pattern of settlement at Mycenae was a fortified hill surrounded by hamlets and estates, in contrast to the dense urbanity on the coast (cf. 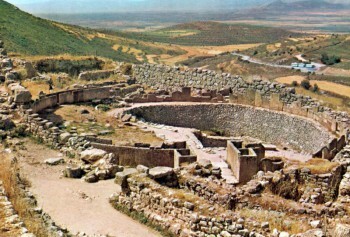 Argos). 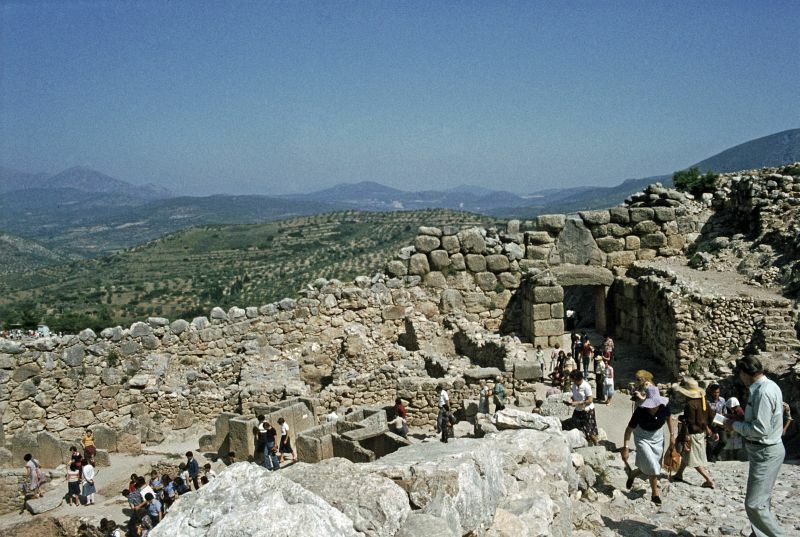 Since Mycenae was the capital of a state that ruled, or dominated, much of the eastern Mediterranean world, the rulers must have placed their stronghold in this less populated and more remote region for its defensive value. 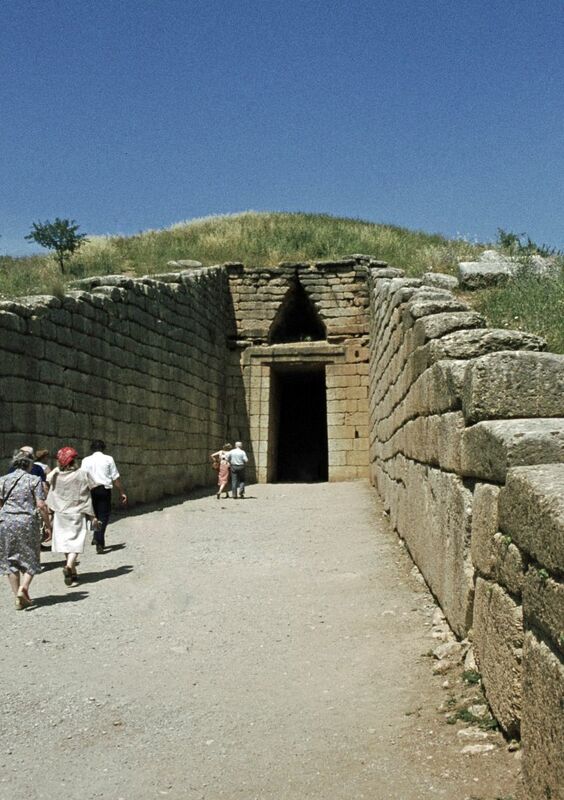 Since there are few documents on site with datable contents (such as an Egyptian scarab) and since no dendrochronology has yet been performed upon the remains here, the events are listed here according to Helladic period material culture. 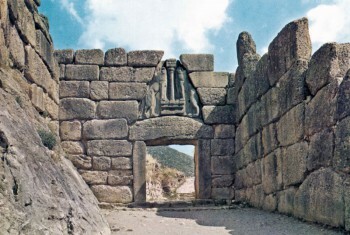 Burial in tholoi is seen as replacing burial in shaft graves. The care taken to preserve the shaft graves testifies that they were by then part of the royal heritage, the tombs of the ancestral heroes. 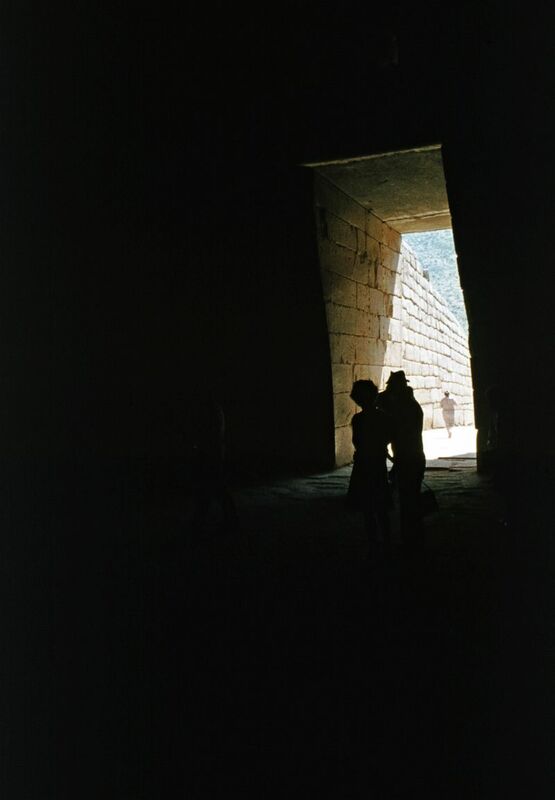 Being more visible, the tholoi all had been plundered either in antiquity, or in later historic times.